In an often divided world, sport is a unique and important connective tissue that binds people together, both across and within societies. The theme of January's Annual Meeting of the World Economic Forum was Creating a Shared Future in a Fractured World – both an accurate assessment of the state of the world and an important call to action for all of civilization. As we think about the forums that unite us as people, regardless of background or beliefs, it is hard to think of many as powerful as the stadiums we fill to cheer for our favourite teams and players, or the fields where we play together for pleasure and exercise. In the opening ceremony of the 23rd Winter Olympic Games in Pyeongchang, South Korea, we saw again the power of sport, when athletes from North and South Korea marched together. The two nations are even entering a combined women’s hockey team, in what the New York Times called “the most dramatic gesture of reconciliation between them in a decade”. We must learn from the unifying power of these and other examples if we want to find ways to use sport to bridge the gaps that divide us. 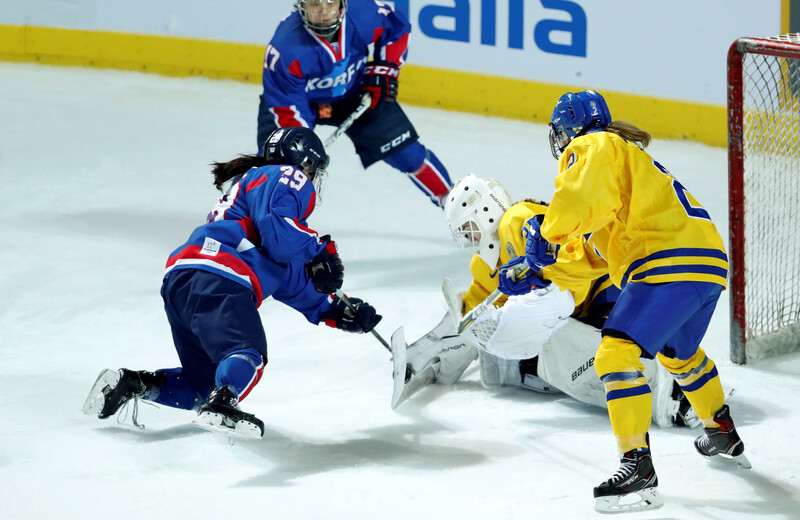 The Inter-Korea hockey team score in a warmup match against Sweden. The world is a fractured place. There’s conflict between countries all over the globe, and also conflict within countries as we become siloed with others who share our values and beliefs. Yet throughout history, people who otherwise have little in common have come together on neighbourhood pitches and in packed stadiums, as fans and as players, and put those differences aside for the sake of their teams. Sport’s role in reducing conflict can be traced back to the creation of the Olympic Games. In the ninth century BC, the Oracle at Delphi advised Iphitos, king of Elis, to start a peaceful sporting competition to end the armed conflict that was plaguing Greece at the time. Iphitos garnered the support of his fellow monarchs and created the tradition of the Olympic Truce, whereby all regional conflict would end for seven days before and after the Games every four years so that the athletes, their families and others could travel to and from the Olympics in peace. The Olympic Truce was reintroduced at the modern games in 1994, and it remains an ideal of the Olympic movement, with a related UN resolution passed every two years before each Olympics. Over time, world leaders have continued to leverage sports as a means to reopen diplomatic dialogue and make conciliatory international gestures. Perhaps the most well-known example of this is China’s “ping-pong diplomacy”, whereby the Chinese government invited US players to exhibition matches in their country in April 1971. This marked the first time Americans were allowed to enter the country since 1949. Less than a year later, President Nixon made a historic trip to China, which ended 25 years without communication or diplomatic relations between the two countries, and led to the re-establishment of diplomatic ties in 1979. Nelson Mandela similarly recognized the unique power of sport to heal and bring together a deeply divided South Africa. At a time of great tension over his appointment as the country’s first black president, Mandela appeared on the field after the Springboks won the 1995 Rugby World Cup, wearing the team’s traditional green jersey and cap. The Johannesburg stadium was filled largely with white South Africans, who were initially stunned but soon starting chanting “Nelson! Nelson!” in a moment that will be remembered for ever as the ultimate example of sport’s power to heal division. There are many other examples of the unifying power of sport, including the pro tennis doubles team of India’s Rohan Bopanna and Pakistan's Aisam-ul-Haq Qureshi, who had a successful partnership for many years, despite their nations being often in conflict. Fans from both countries would fill the stadiums for their matches – including, at the 2010 US Open, their respective ambassadors to the United Nations – to cheer for a shared cause. The team nicknamed themselves the Indo-Pak Express and started a campaign called “Stop War, Start Tennis”. Qureshi summarized it well: "The crowd is getting bigger. [There are] more Indians and Pakistanis coming. They're all mixed together sitting in the crowd. You can't tell who is Pakistani and who is Indian. That's the beauty about sports. That's the beauty about our playing." 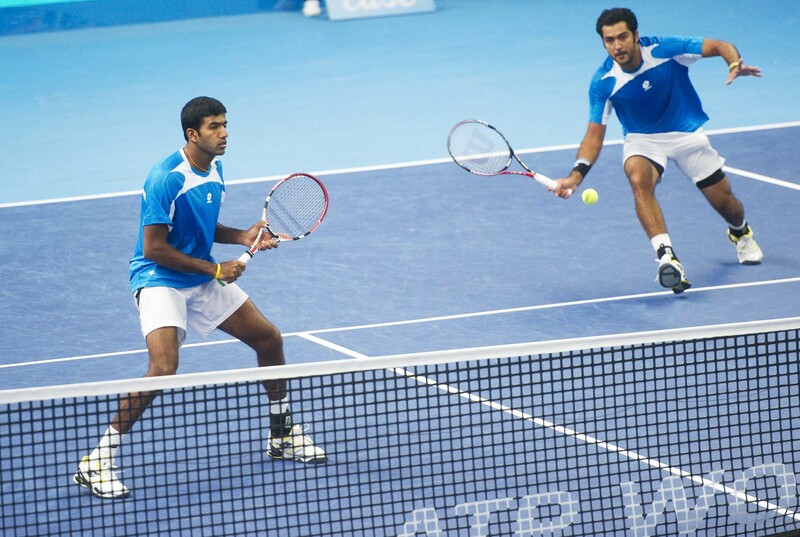 The Indo-Pak Express in action … Bopanna, left, and Qureshi. At these Winter Games, the North and South Koreans are marching together behind a “unified Korea” flag in the opening and closing ceremonies. They have trained together at a North Korean ski facility in the lead-up to the Games, and they will be supported by fans from both countries, as the North is sending hundreds of supporters to Pyeongchang. Sport has once again proven to be an effective mechanism to break the impasse and get the countries not just talking but working together. We all hope that the diplomatic momentum that is built in the Korean mountain community of Pyeongchang will continue after the Games end. I have personally witnessed the power of sport to unite people through the professional tennis team I own, the Washington Kastles, of the World TeamTennis league. The team was cited by the mayor of Washington, DC as the community’s greatest melting pot, one that uniquely brings together people from all backgrounds and parts of our region. Any discussion of the power of sport has finally to include its importance as a vehicle to teach our youth – and the rest of us – the lessons of leadership, good health, teamwork, fair play, self-reliance and continuous improvement. Sport is particularly powerful for young girls, and for both genders, studies have demonstrated that participating in sport can lead to better performance in school and better lives once students have graduated. Sport isn’t just important because we can play it our whole lives, but also because the lessons we learn in sport stay with us. I know we will all feel a sense of hope for one of our world’s most troubled regions when we see the unified Korean flag flying at these Winter Olympics. Let’s not let this moment pass – not just on the Korean peninsula, but around the globe – and embrace the power of sport to connect us, ease tensions and help us realize we share much more than what divides us.